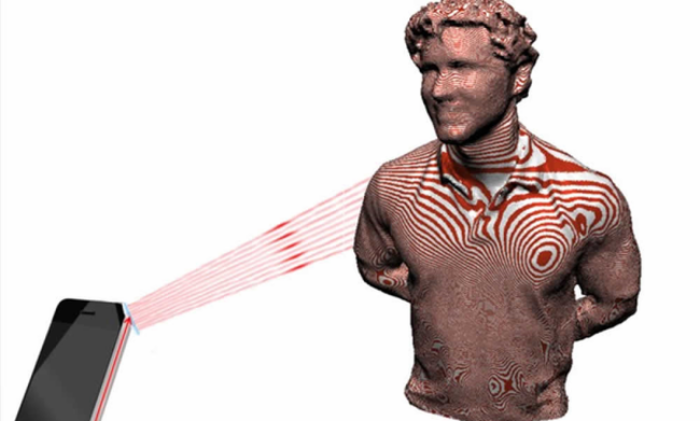 Take 3D Images Using Your Smartphone With LazeeEye | OhGizmo! Once you’ve got your 3D image, the possibilities are endless: make models, take 3D measurements, and more. The LazeeEye is currently up for funding on Kickstarter, where a minimum pledge of $20 will get you a DIY kit. Make a $50 pledge to get the Hardware kit and pitch in $75 for a fully-assembled and tested LazeeEye, if you’re too lazy to put one together.